Today, the cities of the Slavers. 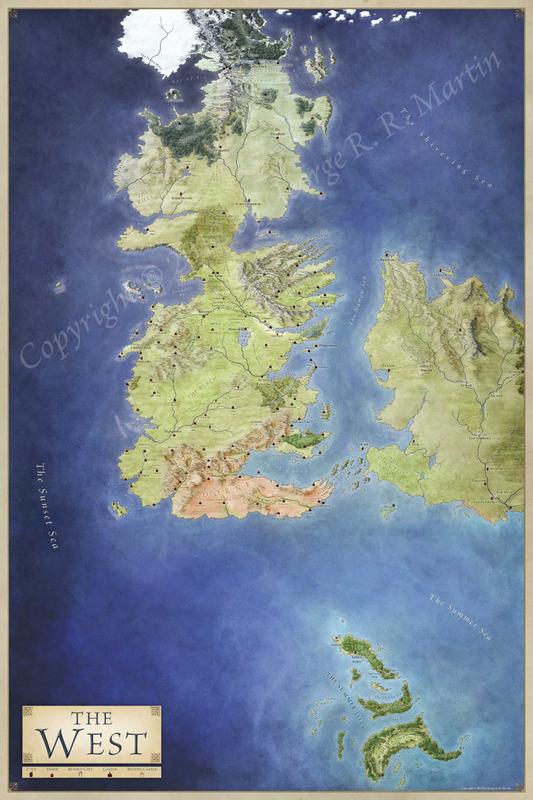 If you’re following the TV series then you might be wondering why this part of the world merits a map all to itself, but all will become clear…. 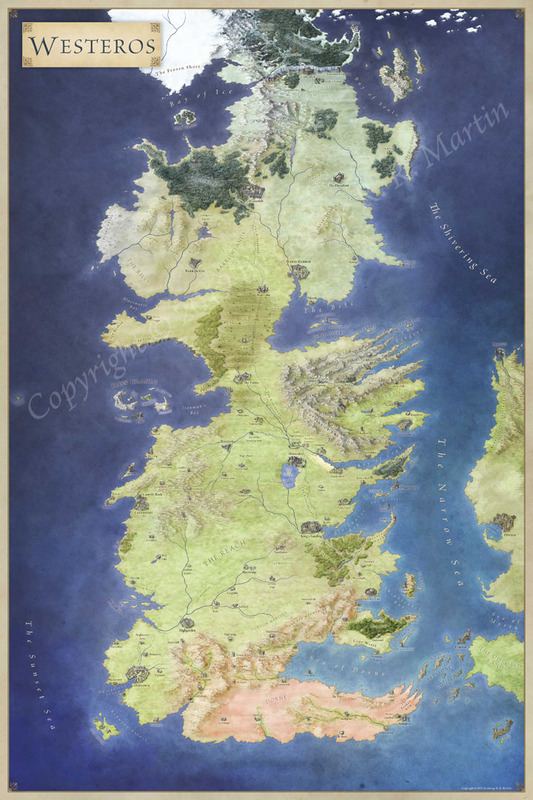 Today we’re travelling to the Narrow Sea and visiting the city states of Lys, Pentos, Myr and Braavos. 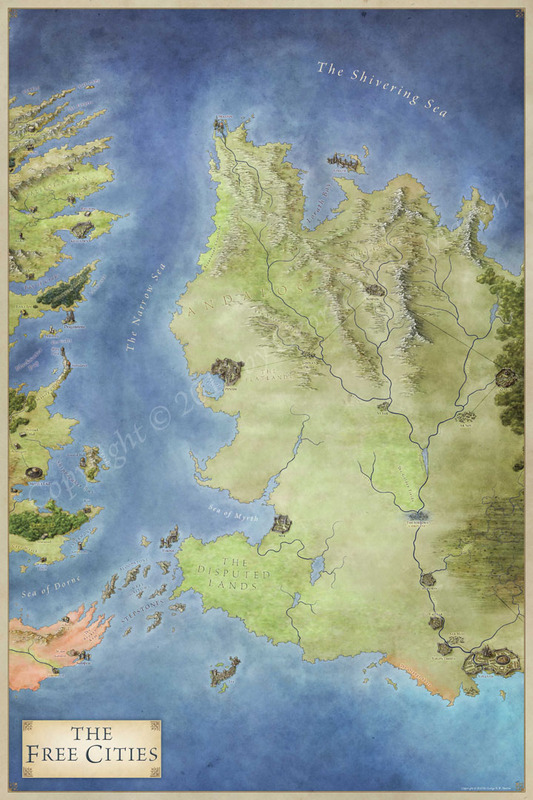 Here’s the first official world map of Game of Thrones, which I was commissioned to illustrated for the Lands of Ice and Fire poster set for Random House. 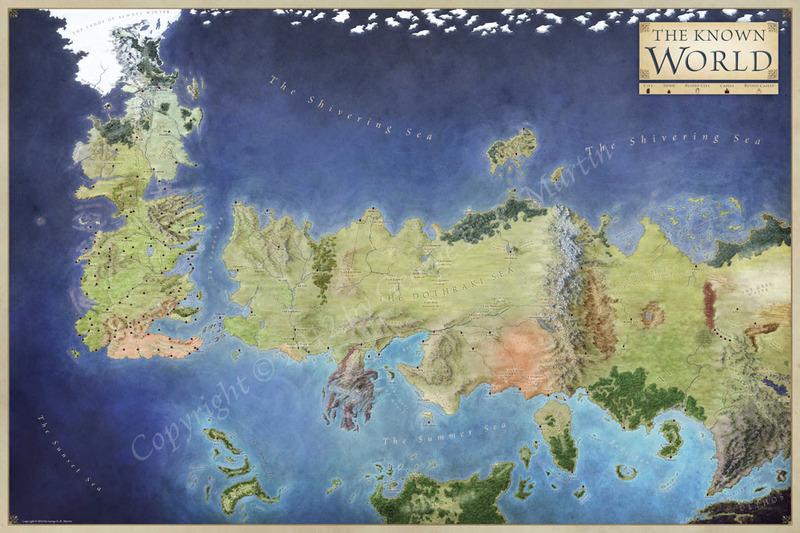 The Song of Ice and Fire is an epic series, and it was a privilege to create the map of the known world for the first time. It was a dream commission for me. I originally read the books in college and, like so many others, was absorbed by the rich world. The lack of good maps bothered me, but I assumed that some day they would be created. I never expected I’d be the one to do it. 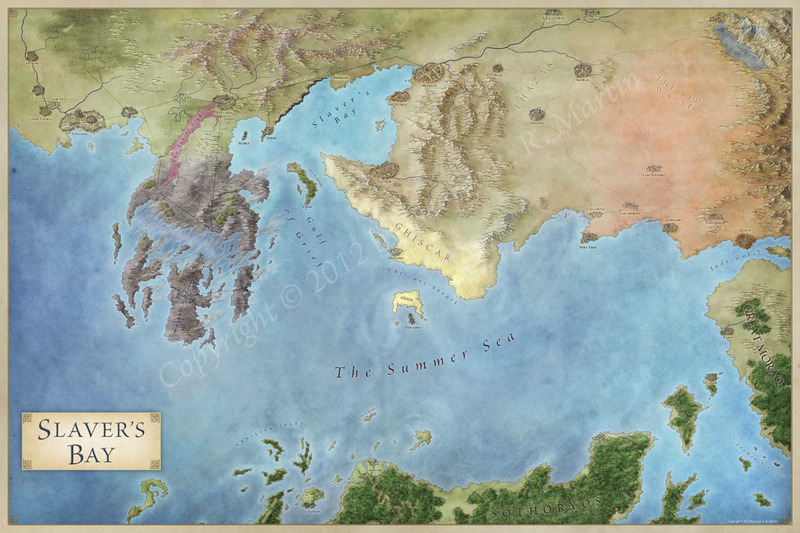 The Known World from Westeros to far Asshai, © George RR Martin, 2012 used with permission.